Citrus muffin mayhem is what this is. 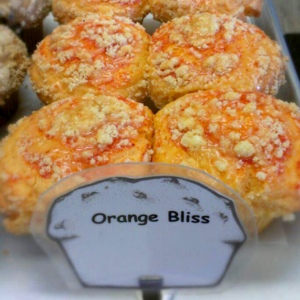 The Orange Bliss is one of the most exotic, yet natural, muffins baked in The Store. This muffin is compliments any coffee or tea and is subtly blended with a flavorful muffin mix that enhances the orange while bringing harmony to the overall combination. Take a bite of bliss, we promise you won’t turn orange.